Need and instant pick-me-up???? - try a brightly-colored top. 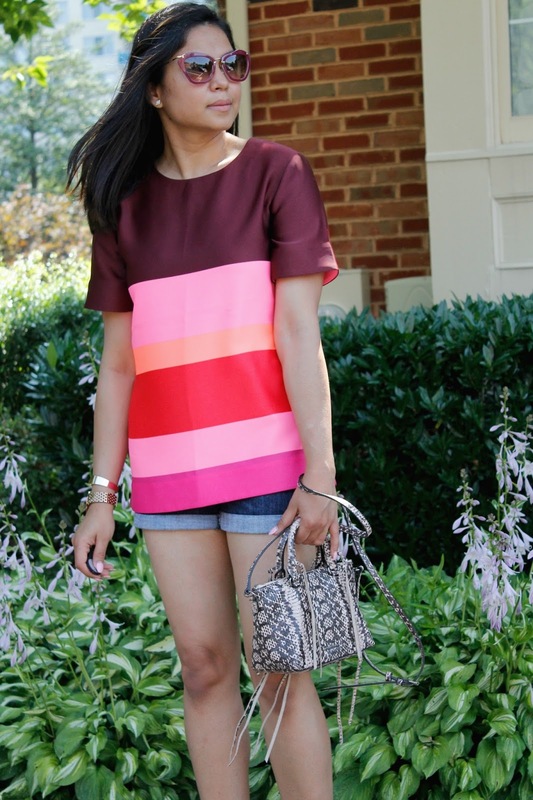 A bright colorful top is the perfect pick-me-up on any day: it is a no-brainer. Just pair it with your favorite pair of denim shorts, a pair of killer cork heels, some funky sunglasses and voila!!! You are all set to conquer the world. What is your instant pick-me-up ??? Thanks for stopping by loves ! !